Hi, all! I’ve been under the weather most of this week, but before I succumbed, I did have a fun new crafty friend over to make cards!! 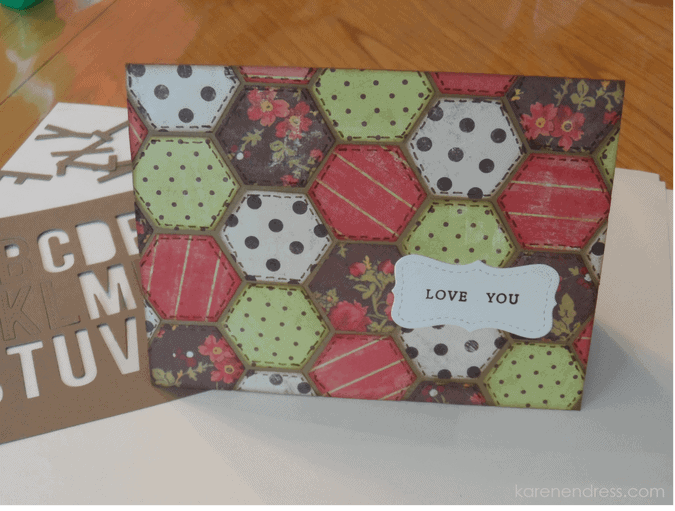 We made “quilted” cards by punching hexagons (Stampin’ Up) out of coordinating patterned papers. “Patching” it together took a little time because we had to keep the same patterns from ending up next to each other. It helps to have at least four different papers. I added some definition by edging the pieces with VersaFine Vintage Sepia ink. In the interest of using my stash, I chose the ancient My Mind’s Eye Wild Asparagus stack. This is the very first or maybe second paper stack I ever bought. The other one is called Everyday Tango. I can’t bear to part with either even though they are totally old school. 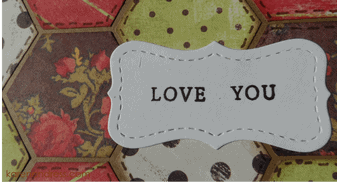 I used a Recollections kraft cardbase and left space between each hexagon. To further the quilted effect I added faux stitching with a Faber-Castell PITT artist pen (M dark sepia). 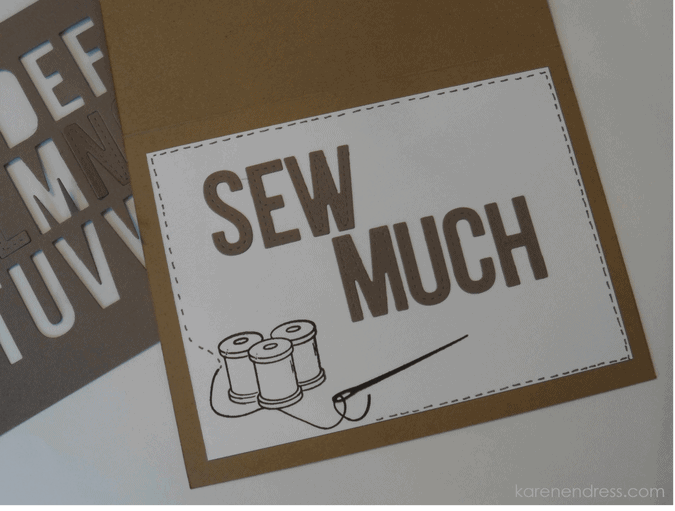 I finished off the front with a Lawn Fawn Stitched Labels die and a sentiment put together by masking off two different stamps from the Hero Arts stamp & cut set Prayers. Apparently I missed the stitching one of the hexagons! 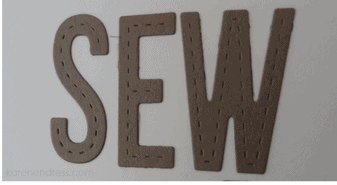 Continuing the sewing theme, I cut the inside sentiment from MFT’s Stitched Alphabet, used the Clear & Simple set called “On the Mend” to stamp the spools, needle & thread, and added a little faux stitching around the inside panel with another PITT pen (M black) to finish it off. I used my go-to VersaFine Onyx Black for both the outside sentiment and inside elements. I started out adhering my hexagons with Tombow tape runner but it was hard to keep the adhesive off the front of the pieces so I switched to my Zig 2 Way glue pen. Since I only just very recently acknowledged that summer is over, this is my first nod to any fall crafting. Now that I’ve broken that barrier, though, I’m kinda thinking it would be fun to make some more fall cards! Would love to see any that you guys have made!